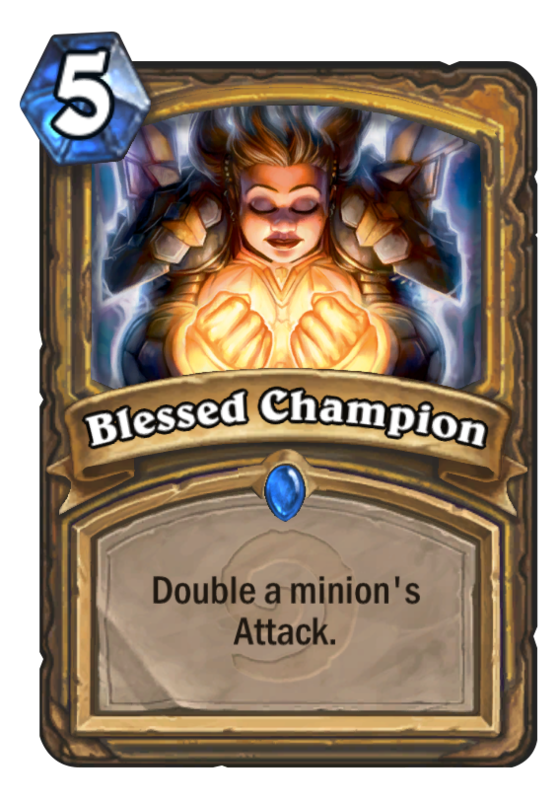 Blessed Champion is a 5 Mana Cost Rare Paladin Spell card from the Classic set! This card causes double the trouble AND double the fun. Rating: 2.5/5. From 145 votes.